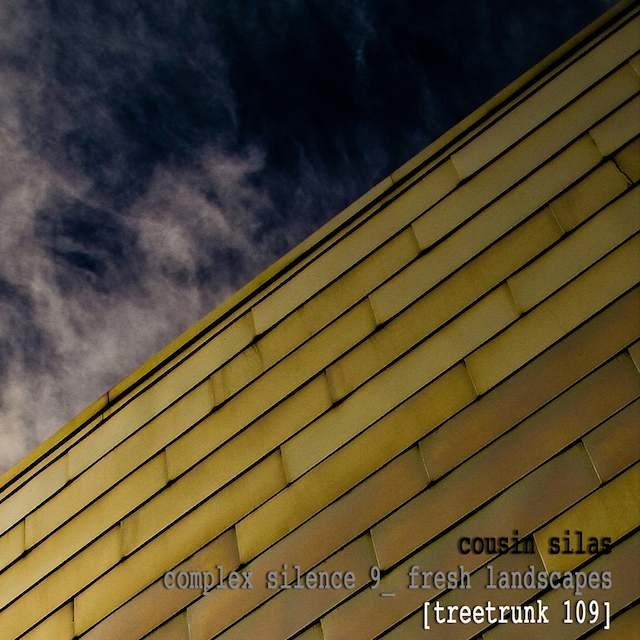 Complex Silence 9 - Fresh Landscapes by Cousin Silas is now out there for you to download and enjoy. I have been so eager for this release... having worked on the artwork and had a pre-release to listen to for a few months... it truly is an awesome album and I am so proud of Cousin Silas for the work he has put into it. I'm also proud of the artwork and photos that accompany the release... some of my best work to date, if I do say so myself. 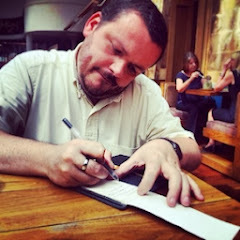 When I was working with Cousin Silas I sent him some initial thoughts on the tracks. I think its appropriate to post them here... to give you a flavour for the album. 1) "... and memories fade" - just like drips of rain after a rainstorm... memories fade. Beautiful Eno-esque ambience at its very best. Simple but effective. This track makes me think of the morning after a horrendous sleep... a sleep punctuated by terrible nightmares. You are slowly wakened to sunlight and the realisation that it... whatever "it" is has gone. 2) "Fresh Landscapes" - the idea that we can see something new in the ordinary. Wonderfully melancholic electronica (melancholica???)... lush synth waves that remind me of the bittersweet sensation of climbing a hill or finally arriving at an anticipated space... you have the elation that comes with seeing the new space but you also have that sense of it being over and you will have to find something new to chase. 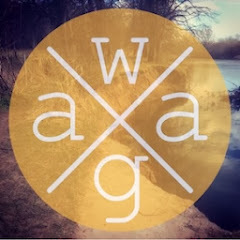 3) "golden contrails" - I love this track. The sequencer really stirs my soul. I find it so uplifting and bright. This track is full of anticipation... the yearning of nearly being there. I see an open top jeep driving in a hot, barren landscape... the people in the car share the excitement of nearly arriving at their destination... their holiday home in the middle of nowhere. The passenger looks up and sees the contrails, bathed in sun, of the plane they were on leaving the island. The anticipation builds. 4) "Pollards Moor" - subtle and melancholy synths... reflecting the barrenness of an open moor, sparsely populated with trees. The sense of freedom and openness pervades... a quietness that is only interrupted by birds. A genuine sense of wonder. 5) "Stanedge Tunnels" - a well executed sound picture. Underground exploration. The stuff I dream about doing with my camera. Finding something abandoned and full of abandoned decay. The soundscape evokes the claustrophobia of an underground space. It is sparse... almost hidden... with sudden shocks of sound. Love it. 6) "Star Nursery" - there is a real sense of hope in this tune. a wonderful freshness. it reminds me of morning and of new life. I love when the sequencer comes in then goes almost as quickly as it arrives... almost like birdsong. Beautiful. My kind of ambient. 7) "The Tarn Cairn" - is another wonderful sound picture... very desolate and windswept. A real sense of isolation. That said... I don't feel hopeless isolation. More solitude. More well deserved space. 8) "Complexities in silence" immediately grabbed me for its haunting ambience... my kind of ambient music... lovely! 9) "Northcoates Point" gives a sense of place... a sense of being somewhere... a thin place... a place of mystery. 10) "Something landed in the forest" is just pure joy... a soundtrack to a sci-fi film. Very Delia Derbyshire in places. The atmosphere created by this track is wonderful... and a fitting last track, if indeed it is the last track. I truly hope you will gain as much as I have from this album.